The ABU DHABI KING OF MAT - World Pro Invitational 2018 is intended for formers World Pro and Grand Slams Champions. 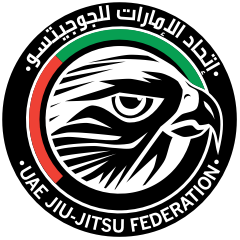 The 1st Abu Dhabi King of Mats will bring from a prestigious list of 35 Abu Dhabi World Pro Champions, the top 30 athletes that will fight for The King of Mat Champion Title selected and invited by the UAEJJF, according to their results in the last 9 Abu Dhabi World Pro editions and representativeness within the sports role model, charisma, posture inside and outside the mats and schedule availability. The Tournament brings together many of the greatest fighters in history for nostalgic, competitive and entertaining fights in Abu Dhabi and in other cities around the world. Each weight division (3 divisions) may consist of not more than 10 competitors and not less than 6 competitors. There may be up to two reserves or wild cards (Grand Slams Champions or top UAEJJF ranked fighters) to replace in case of absence of World Pro Champions. The event may consist of not more than 10 competitors and not less than 6 competitors. There may be up to two reserves. 6 athletes – two pools of round robin, each with three Fighters. Top two Fighters from each pool progress to the semi-finals with the winner of Pool A fighting the runner-up from Pool B and the winner of Pool B fighting the runner-up from Pool A. 7 athletes – two pools of round robin, one with three Fighters and another pool with four fighters. Top two Fighters from each pool progress to the semi-finals with the winner of Pool A fighting the runner-up from Pool B and the winner of Pool B fighting the runner-up from Pool A. 8 athletes – two pools of round robin, each with four Fighters. Top two Fighters from each pool progress to the semi-finals with the winner of Pool A fighting the runner-up from Pool B and the winner of Pool B fighting the runner-up from Pool A. 9 athletes – two pools of round robin, one with four and another with five Fighters. Top two Fighters from each pool progress to the semi-finals with the winner of Pool A fighting the runner-up from Pool B and the winner of Pool B fighting the runner-up from Pool A. 10 athletes – two pools of round robin, each with five Fighters. Top two Fighters from each pool progress to the semi-finals with the winner of Pool A fighting the runner-up from Pool B and the winner of Pool B fighting the runner-up from Pool A. In championship fights, the participants must weigh no more than that permitted for the relevant weight division. In the fighter is overweight he will be placed in the next division and will pay a fine. The winner will receive King of Mats Trophy, Championship Belt & Cash Prize. The second will receive medal & Cash Prizes. The fighting area contests may be held in a mats platform. A fighting area used for a contest must be no smaller than 10 meters and no larger than 14 meters. One corner shall have a blue designation and the corner directly opposite must have a red designation. Gi's Black, Blue and White, each contestant shall have two Gi’s with two different colors. Shirts are prohibited during competition except that rashgards approved by the Commission. For NO GI contests each contestant shall wear NO GI shorts (board shorts) or other shorts approved by the Commission. Each combatant must be clean and present a tidy appearance. A Fighter may not wear any jewelry or other piercing accessories while competing in the contest. Each contest is to be for 1 round no more than 6 minutes duration, with a rest period of 3 matches between each fight. The referee is the sole arbiter of a contest and is the only individual authorized to stop a contest. The referees may take advice from the matside physician and/or the Commission with respect to the decision to stop a contest. The referees and the matside physician are the only individuals authorized to enter the fighting area at any time during competition other than the rest periods and subsequent to the contest ending. All bouts will be evaluated and scored by 3 referees who shall evaluate the contest from different location around the fighting area according the agreed rules between commission and athletes. The contests will be refereed by UAEJJF International Referees with special rules in accordance with the Refereeing Rules of the UAEJJF.